The annual (and free) Eat Smart, Move More, maintain don’t gain Holiday Challenge consists of many resources for participants, including healthy holiday recipes. And someone has to TASTE those recipes to make sure they are actually delicious and easy (and healthy)! Each year we hold a Taste Test to determine which recipes will be included in the Holiday Challenge. Each team member chooses a healthy recipe, brings the dish to the event, and we all taste and rate each dish. Only the highest rated dishes make it into the Holiday Challenge. 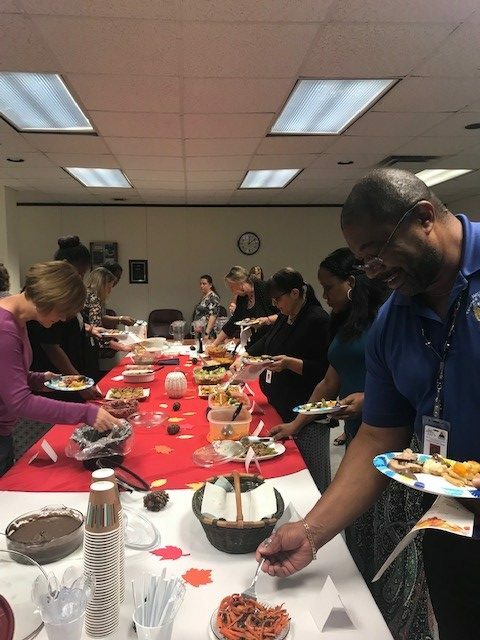 It’s always a fun day in the office to celebrate the kick-off of the Holiday Challenge and to make sure find the BEST dishes to share with you all. If you have not already signed up for the 2018 Holiday Challenge, please click below and you will have access to all of these tasty healthy recipes – and more (it’s FREE!). Everyone who participated in the Taste Test filled out a ratings sheet and rated each dish on a scale of 0-3, with 3 being the highest. Dishes this year ranged from overnight gingerbread oatmeal to mushroom-stuffed pork tenderloin. 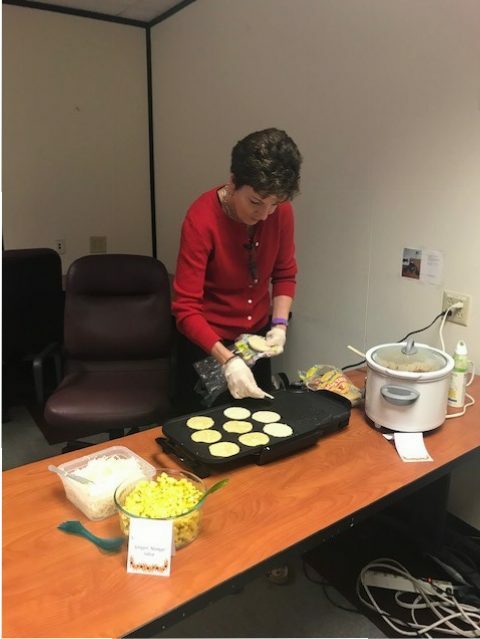 We even had a live cooking demo for mini healthy tacos! We are so excited for you all to take part in this year’s Holiday Challenge. It is sure to be a fun seven weeks. For those of you who have not signed up, you still can- and it’s FREE! The Holiday Challenge promotes weight maintenance during the holidays by providing daily tips, tweets, and newsletters with healthy recipes every week. Plus, there will be a free virtual race through Rome. Mark your calendars for November 12th! 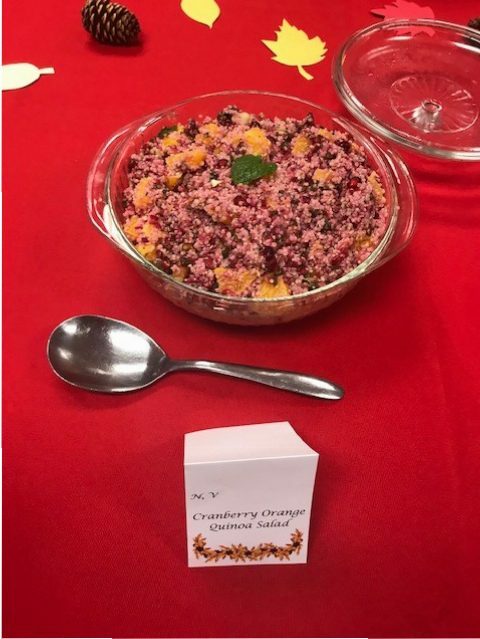 And one more sneak peak of the recipes… this Cranberry Orange Quinoa Salad is tasty and looks festive too!